At Devlin, Cittadino, & Shaw, P.C., we understand just how quickly a car, truck or other type of accident can change a person's life. If you or a loved one has been injured at work or due to the negligent actions of another, we will help you build a claim and pursue the just compensation you are entitled to receive. 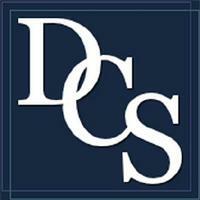 Since 1964, our attorneys have tailored their methods to fit the unique needs of their clients. No matter the severity of the accident or subsequent injuries, we will offer advice, ensure you are treated fairly, and fight tirelessly to achieve a settlement or an award through litigation. Whatever legal problem you are facing, we will work on your case in a hands-on manner, always listening to your goals and concerns to chart the best course of legal action. Contact us at our Trenton, New Jersey, law office and schedule your free initial consultation.